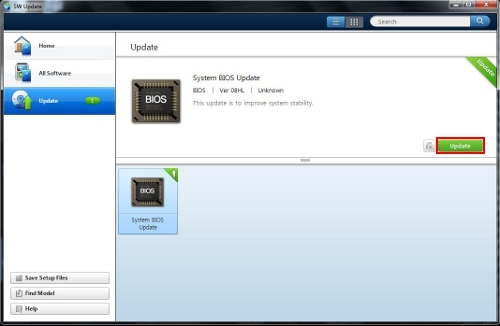 Before you can upgrade to Windows 8, you need to download the BIOS update firmware from the Samsung Download Center. For information on how to download the BIOS update, follow the steps below. All drivers are available through SW Update. For information on using the SW Update, see Updating The BIOS below. To update the BIOS you will first need to install SW Update on your computer. 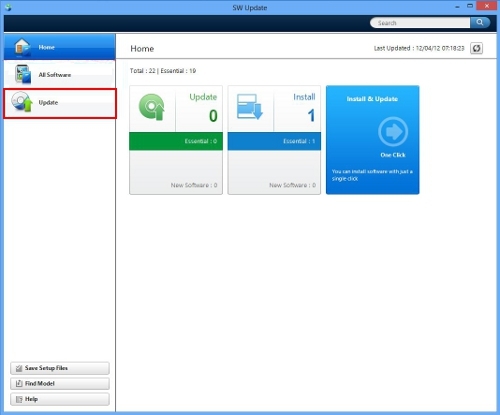 To install SW Update, click here to download the program. Once SW Update is installed and fully updated, follow the steps below. 1. Launch the SW Update program using the icon on your desktop or from Start > All Programs > Samsung > SW Update. 2. Click on Update from the left side menu. 3. Click on System BIOS Update and then click Update. Note: If System BIOS Update does not appear, than your BIOS is already up to date. 4. The BIOS will update on your computer. Your computer will restart during the process. Samsung Tablet PC - Can I Install Linux On My Tablet PC?